Natalie and Mike live in our town and knew Dave and I were wedding photographers. Mike is the owner of the new Hudson Valley Brewery in Beacon. He brews super good beer and in the last couple years has achieved success as a ton of bars throughout the Hudson Valley and NYC have started carrying his beer. 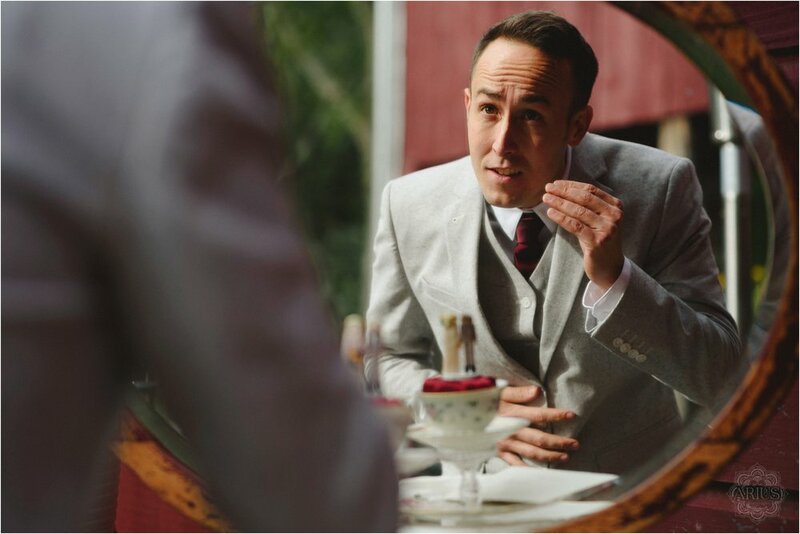 We all met for drinks and I KNEW I wanted to photograph their wedding. 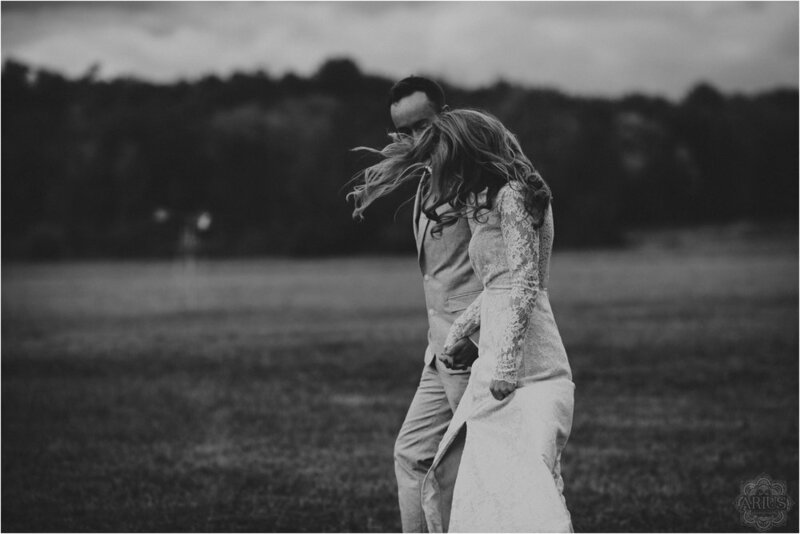 They were married on October 6, 2016 with their ceremony and reception at Crested Hen Farms. Crested Hen is a new venue and I am IN LOVE. The owner, Frank, is in it for the right reasons. He has done a tremendous job creating the perfect balance of sophisticated and rustic- which is really hard to pull off. The restoration job on the English-Dutch dairy barn is simply magnificent. He kept a lot of the old details, like the original hand hewn beams, which add to the ambiance. The whole place is rich with historic charm. It’s SUCH a great venue and it was perfect for Natalie and Mike. 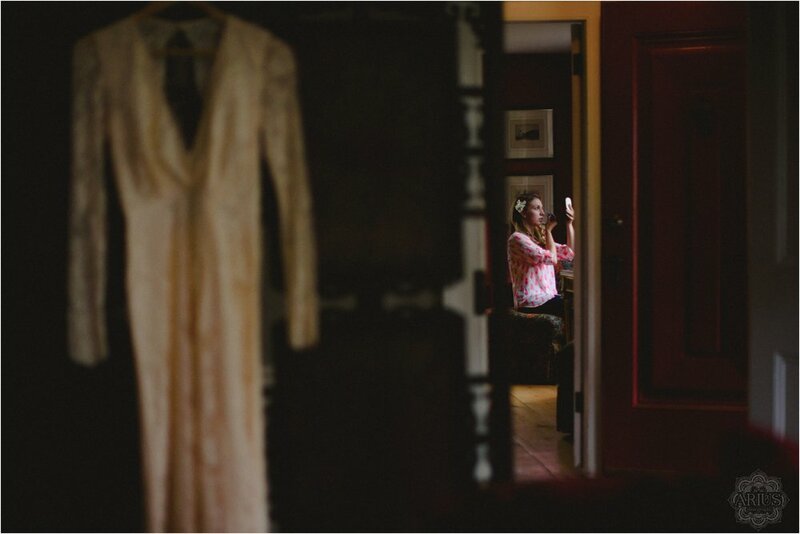 The morning of the wedding, Natalie got ready in the farmhouse while Mike made sure everything was in place. 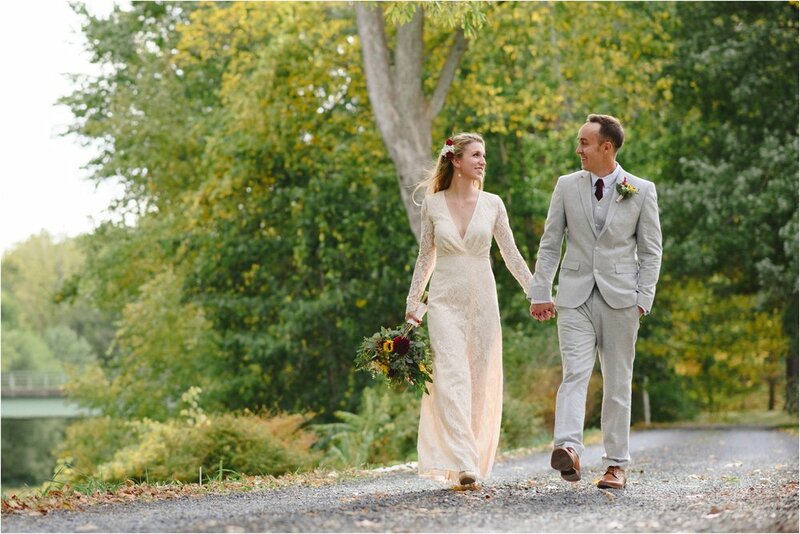 She found her dress at Asos Thrift and Vintage Shop and had it altered to fit her. It was gorgeous, and she looked incredible. Dave had Mike finish getting ready outside with their dog in tow. 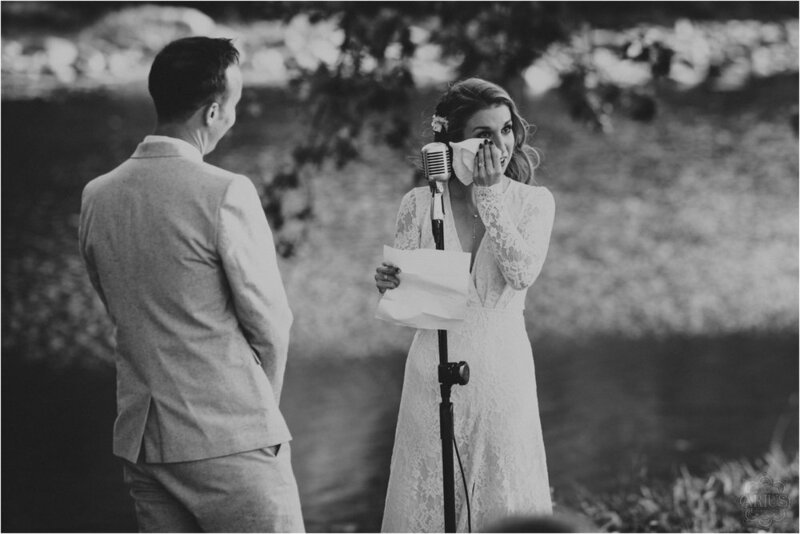 Once they were ready, Natalie and Mike had an emotional first look by the river. They were so happy. The light was just magical and they were so into it. Their smiles and laughter were sincere; their intimacy, effortless. We took portraits around the property in a number of different places… and then asked if they could get in the river! I love it when couples aren’t afraid to just live in the moment! They took off their shoes and waded into the river in all their wedding finery with their awesome dog. The pictures are some of my favorites. 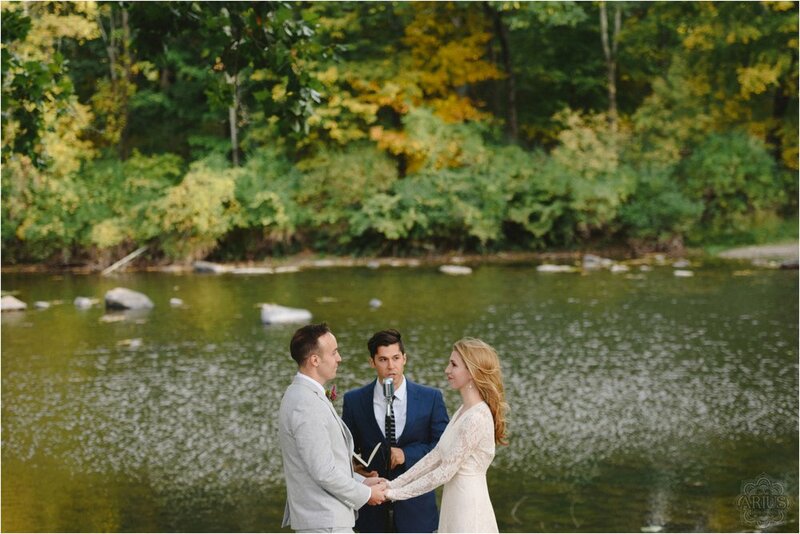 The ceremony took place at the river’s edge. Guests were seated in old church pews that the owner carried in right before the ceremony. During the ceremony, Natalie and Mike passed their rings around to all of their guests, asking for everyone to give them good vibes. Natalie’s vows were really lovely. They were some of the best I’d heard in a long time. After the ceremony, we made our way over to the barn for cocktail hour. The reception was both inside and outside, casual but fun and of course they had Mike’s beer on draught! Crested Hen Farms has an outdoor bar built right into the side of the barn and a bonfire pit. These ominous dark grey clouds rolled in, with beautiful contrast to all the rich autumn colors of the day. They were dark and threatening, but there was not a drop of rain! It was pretty magical. 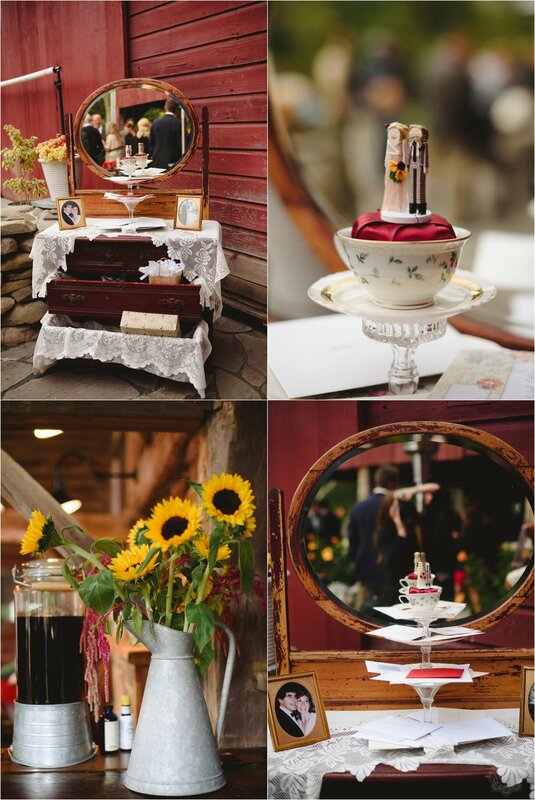 Tables were decorated with an eclectic mix of miss-matched china and glass wear that the venue had available. The whole room had a sophisticated barn chic vibe. It was very cool. Everything was relaxed without being TOO relaxed. Sometimes couples make things too simple and the party never really feels right. 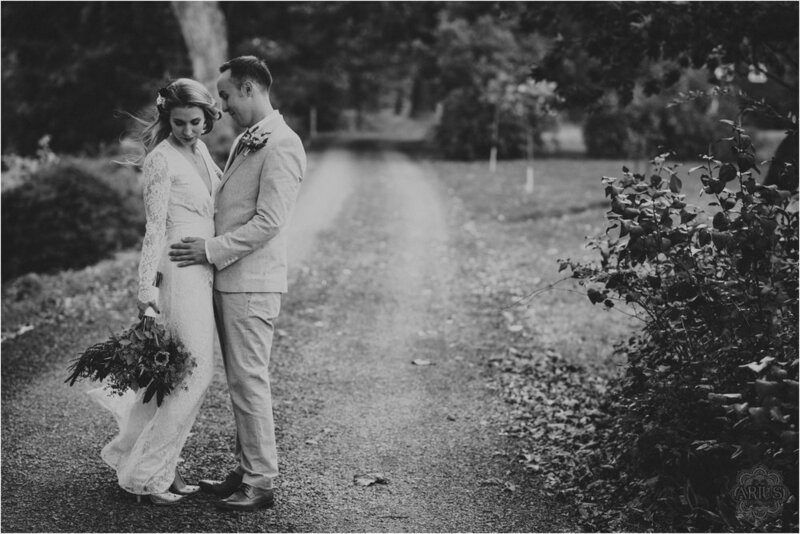 Natalie and Mike had the perfect blend of simplicity and festivity. Their style was reflected in the mood of the day. I would like to personally thank Frank at Crested Hens Farms for making such a fantastic venue. It is not only well thought out and beautiful, but it just feels good there. That is so important when bringing your favorite friends and family out to celebrate your union. Bianca really helped to make Natalie + Mike's day so special and flawless. Natalie + Mike- you two are so wonderful. I am honored that you reached to me to document your amazing wedding. Dave and I had such a great time with you and felt right at home all day, so thank you for that.